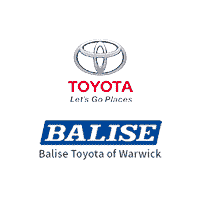 Balise Toyota of Warwick offers drivers from all over Kent County, RI, and beyond the new Toyota models, used cars and auto services they need. But we strive to be a lot more than that. By combining our understanding of the people in Rhode Island, and our knowledge of the cars we service and sell, with the power of the Balise Group, we are able to cater to the specific needs of our unique community. From Greenwich Bay to Providence Harbor, local drivers want more than just an exciting new Toyota. Sure, our inventory of popular favorites like the Toyota Camry, Corolla, Rav4, Prius, and Tacoma models attract a lot of buyers. But only because those are the vehicles that meet a New Englander’s needs. We hear from our many Rhode Island customers that to make it through many seasons cars around here must be a reliable investment and a good fit for their lifestyles. Whether the specific fit for you is a family vehicle like the Sienna minivan or a hard working truck like the Tundra, the decision is up to you. We’ll make sure that you find a vehicle which meets your needs. Those requirements are the same whether you seek a new car or a used car from the Balise lot here in Warwick near Providence, RI. Sure, individual desires vary, but wanting to get a good deal does not. That’s why you can access a free vehicle history report online, for any of the pre-owned cars we carry at Balise Toyota of Warwick. If you do not find that perfect used vehicle that meets your every need on our used car lot, just tell us what does with the online CarFinder tool. We’ll leverage our expansive network of car dealers and find it for you! We pride ourselves on helping our community achieve their car ownership goals with car financing solutions that are both affordable and reasonable. Our auto finance experts will work with you to get you a loan or lease that will suit both your budget and your lifestyle. Whether you make a vehicle purchase, schedule auto service, or order car parts from our dealership, our goal is your satisfaction. Give our friendly staff a call at 401-352-5911 whenever you have a car related question or need. Or simply come in and visit us today!